Cognitive Capitalism: What Is It, If Anything? For decades, scholars, activists and social critics have grappled with how to characterize the economic shift that has transformed the United States—and, indeed, the world—since the 1960s. I have written elsewhere about the analytic challenge observers face in giving this change a name: postindustrial? Informational? Service? High-tech? Daniel Bell and Alain Touraine were among the first out of the gate, noting the decline of manufacturing as a relative proportion of employment and speaking of the “postindustrial society” in the early 1970s. (Bell had been using the term for a while, but his 1973 book helped put it on the map.) 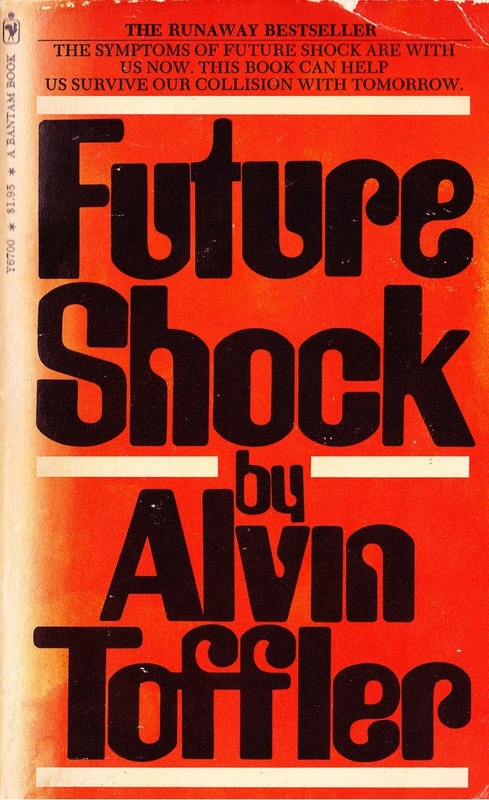 The late futurist Alvin Toffler, in his breathless way, referred to a “super-industrial” society in the popular 1970 book Future Shock, seeming to imply a new system that was above rather than after industrialism. Didn’t I blow your mind this time? Didn’t I? By the 1980s and 1990s, the notion of the “knowledge economy” became more common. (The “idea” or “information” economy is another formulation.) Here, the emphasis is not just on declining manufacturing, but on a system where knowledge, information, intellectual property, ideas play a bigger role—and presumably the more educated people who posses the skill and training to do different types of jobs, unlike those supposedly rote and mindless jobs that industrial drones once performed. Bell called them “information workers”; management theorist Peter Drucker, “knowledge workers”, with a slightly different inflection; liberal economist and eventual Clinton cabinet member Robert Reich used the term “symbolic analysts” in the early 1990s. These were the computer programmers, graphic designers, writers, musicians, financial brokers, and others whose chief role was primarily to interact with and modify symbolic representations: numbers or notes or lines and shapes, increasingly through the ultimate symbol manipulator, the computer. The thing that set these people apart is they weren’t making any “thing” in particular—a crop or a car part—and they did not perform a menial service, like bussing tables or cleaning an apartment. They employed education and expertise to transform something immaterial or abstract. Here one sees the early shadow of Richard Florida’s “creative class”—that capacious category that embraces everyone from the barista with a blog to the corporate executive, and all the people with relatively high status or cultural capital and various levels of income in between. Something was happening in the economy of the late twentieth century, especially in the most advanced nations of North America, Western Europe, and East Asia, where the traditional blue collar worker was eclipsed by a new working class of low-wage service employees and an ascendant group of professionals and semi-professionals. As inequality has moved from a left-wing talking point to a major part of political discourse over the last few years—thanks in no small part to Occupy, Thomas Piketty, and Bernie Sanders—the widening gap between the service workers on one end and the knowledge workers on the other has gained new political salience. How to characterize this shift, and whether the new class configuration is good, bad, or ugly, remains an open question—and it’s one that animates the work that I’ve been doing for the last few years, since my first book Democracy of Sound looked at the increasing importance of intellectual property to the US economy over the last fifty years. Informational capitalism recapitulates the same relation of Fordism to Post-Fordism—i.e. a mass production, standardized economy versus a customized, flexible form of production—in the analogy of Taylorism to Toyotism, in which a similarly rigid production process characteristic of mid-century industrial capitalism gives way to a more adaptable system made possible, in large part, by the innovations of information technology. Instead of making a whole lot of one thing and then hoping to sell it, the Toyota model allowed firms to more closely align production with demand and make things “just in time,” using IT to coordinate production in a way that put out products swiftly and efficiently and tailored them to the desires of the market. As IT transformed all dimensions of work, from retail to healthcare to education, the role of educated workers simultaneously became more prominent. Teachers or professors are, almost by definition, educated, in the sense that their job is to impart knowledge and skills. To be a doctor or nurse or arborist or real estate appraiser requires specialized training to varying degrees, just to be able to exercise the judgment inherent to the job. Not all of these jobs, or even most of them, depend significantly on using information technology, but computing has concomitantly permeated nearly every industry. Hence, the second part of Hardt and Negri’s analysis—immaterial labor—which is a key concept for proponents of the cognitive capitalism idea. A pharmaceutical chemist or a software engineer may do work that eventually results in a physical product, like a pill or a video game, but their work itself is largely related to manipulating those good old “symbols” and generating information or ideas. It is, in that sense, more “immaterial” than the labor of the autoworker, farmer, miner, or McDonald’s employee. But the immaterial label applies even more so to those whose work involves “affect”—emotions, experiences, and relationships, jobs that do not really produce an object in any meaningful sense. A famous definition of a “service” job or industry maintained that a service is something you cannot drop on your foot—say, a haircut or tax advice versus a truck axle. (Herzenberg, Alic, and Wial outline the problem of categorizing services well in their 1998 New Rules for a New Economy: Employment and Opportunity in Postindustrial America). Admittedly, this definition could use some work, since the quintessential “burger flipper” does make something is undeniably droppable, but his or her occupation is still considered a service industry job. In any case, the concept of immaterial labor does describe so many things that people do increasingly often in the contemporary economy. Consider the ethic of care involved in nursing, counseling, or teaching, where the outcome of the work is embodied in the person cared for, not a particularly material or quantifiable result (though so-called education reformers have tried hard to impose numerical measures on learning in recent decades). A financial planner or compliance officer draws on knowledge of rules and regulations to give advice about how to conduct one’s personal finances or business. A lawyer has credentials and legal expertise necessary to resolve disputes between people. A copyeditor knows grammar and mechanics and can transform a manuscript in a way that one without that knowhow cannot do. The theory of cognitive capitalism begins from this premise—that work in the new economy increasingly depends on ideas, knowledge, skills, and aptitudes that are, for lack of a better word, “cognitive” or “intellectual,” rather than labor that is physical or corporeal or manual. Skeptical readers can find themselves thinking of numerous counterexamples to undermine such a theory; obviously blue-collar workers like electricians or carpenters or cooks employ a wealth of expertise in executing their jobs, while factory workers on the shop floor possess knowledge and skills that often go unrecognized as such when their jobs are perceived as Metropolis-style, mindless drudgery. Yet I think it’s fair to say that jobs that demand significant credentials and professional, white-collar expertise have grown as a proportion of the workforce since the 1960s, and that fact bears some accounting. At the same time, I think the knowledge embodied in traditional skilled trades must also be worked into a theory of postindustrial labor. (Being an electrician is not the same thing as working on an assembly line, and knowing how to wire a house is information just as real and significant as that possessed by a chemist.) Perhaps all of these different categories of work can be understood under a broader rubric of skill and service, beyond the false dichotomy of “industrial” and “knowledge” work. But for the time being, let’s stick with the paradigm of cognitive capitalism. In this view, knowledge and affect become increasingly central to the production of value within a capitalist economy. Chemical expertise yields a drug that makes millions, reduces pain and suffering, and results in a healthier workforce; education yields workers with knowledge and skills who earn higher incomes and produce greater output. Rote, material labor becomes relatively less prominent in the political economy of the nation or market, though personal services that benefit the highly educated—house cleaning, food preparation, transportation (think Uber)—remain a big, even growing part of the labor market. There are differing views among scholars about this incipient type of capitalism. 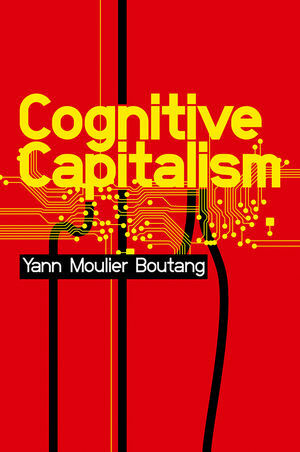 The radical left theorists of cognitive capitalism have a habit of sliding into a more positive or celebratory analysis, like Yann Moulier-Boutang, whose Cognitive Capitalism (2012) is one of the seminal books on the subject. 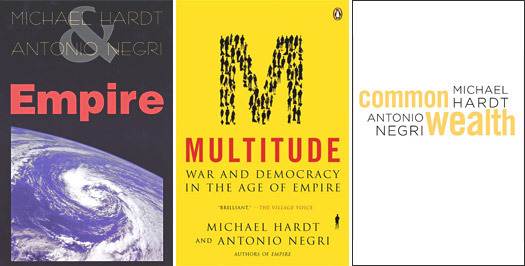 In one view, this emergent model draws on the “general intellect,” a term briefly mentioned by Marx that theorists such Hardt, Negri, and Paolo Virno has seized upon as a seductive concept signifying the whole, vast array of knowledges, skills, wisdoms, aptitudes, and cultural allusions that make up the shared inheritance of the culture. For example, when a Disney producer or writer or animator draws on old folk tales or narrative tropes to create a new blockbuster film, they are taking advantage of the received culture contained in the mind of the worker and consumer. Some of that culture might be copyrighted or otherwise commodified, but far more of it—the jokes, aphorisms, allegories, motifs, and so on—are part of the amorphous and ineffable “general intellect” that makes postindustrial capitalism work. Some scholars see in this evolving process the outlines a new kind of economy, a “dotCommunism,” to borrow a term from legal theorist Eben Moglen, that might displace or supersede the exploitation of capitalism as we’ve known it for centuries. If the source of values lies in the minds of workers and the culture they share, then this culture could be made free—and its fruits could be more equally divided. Power no longer necessarily resides with the owners of physical and financial capital. Less sanguine observers see the mining of our personal lives and leisure time by Facebook, or of our “user generated content” by YouTube or WordPress, as simply an extension of capitalist exploitation beyond the shop floor. After all, for writers and journalists, the new digital economy demands that one be willing to work for nothing for “exposure” or for virtual pennies if you actually get paid. (Media scholar Steven Shaviro offers a cogent critique here, and Italian theorist Tiziana Terranova gave a prescient early critique of digital serfdom in her 2000 essay “Free Labor.”) This is the capitalism of the cognitive: the primacy of a relatively small set of elite knowledge workers on one hand, and the commodification of all culture, thought, and feeling by Silicon Valley whiz-kid capitalists on the other. I suspect the truth lies somewhere in between. Surely it is possible to recognize the significance of knowledge, skill, and training in an evolving economy where automation has made many forms of manual labor less valuable or marketable, while also not necessarily endorsing this progression as progress. Perhaps it is progress, of a sort—no one really wants to bring back the “dark, Satanic mill,” right?—but not an unalloyed good. Perhaps there are ways that we could turn automation and other technologies toward improving the lives of people without robbing them of their autonomy and livelihoods. The debate over cognitive capitalism also leaves open another host of questions: does the economy itself, as we know it, actually reflect the “informational” or “knowledge” or “creative” categorization that elite thinkers and policymakers have imposed on it? Does the experience of the grocery store clerk, truck driver, web designer, HR specialist, tutor, nurse, even physician or everyday office worker line up with a story of “creativity” and “innovation,” or of labor freed of its material reality? My guess is the answer is an emphatic “no,” except for a precious few who really do enjoy a great deal of autonomy and flexibility in their work. A theory of postindustrial economic change has to account for how people actually work and what they actually do, not just the brains and smarts and creativity that are, arguably, increasingly central to capitalist profit and growth in the twenty-first century. Prev Newt’s Predictably Gonzo Dissertation: Belgian Colonialism For the Win!